Hi there! 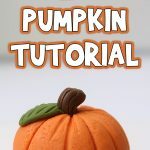 I’m back with another fun fall project! 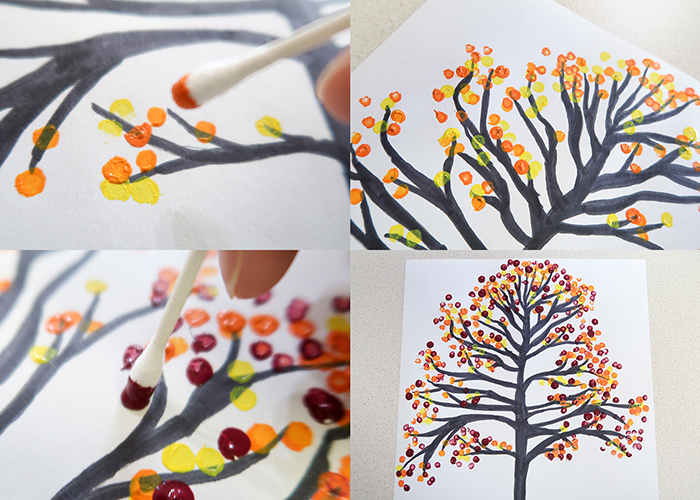 I’m going to show you how to make this Autumn Tree Q-Tip Painting. 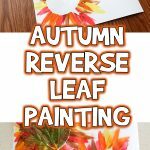 This is a great project for kids to help work on fine motor skills, and a fun way to make some new autumn themed art for around the house. You can do this on plain paper like I did, or do it on a canvas for a more professional effect. Here’s what you’ll need. 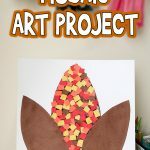 Check out another fall leaf art project, too! Plain paper or a canvas. A variety of fall colored paints. I used dark red, dark orange, light orange, dark brown, light brown, and yellow. Paint palette or paper plate. 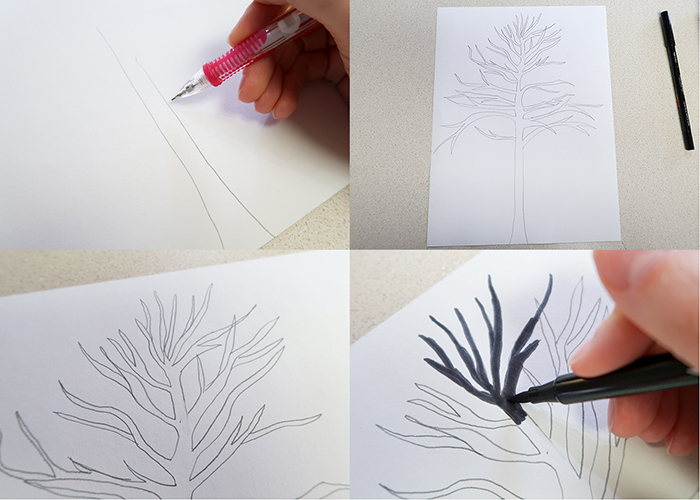 Start out by drawing your tree in pencil. 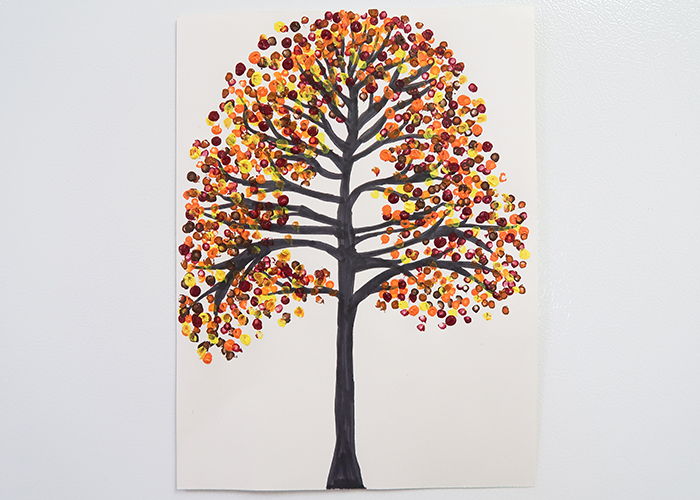 I like hand drawn trees over using printouts, because drawing is alway excellent fine motor skill practice and it’s great for kids who are learning to draw organic objects. 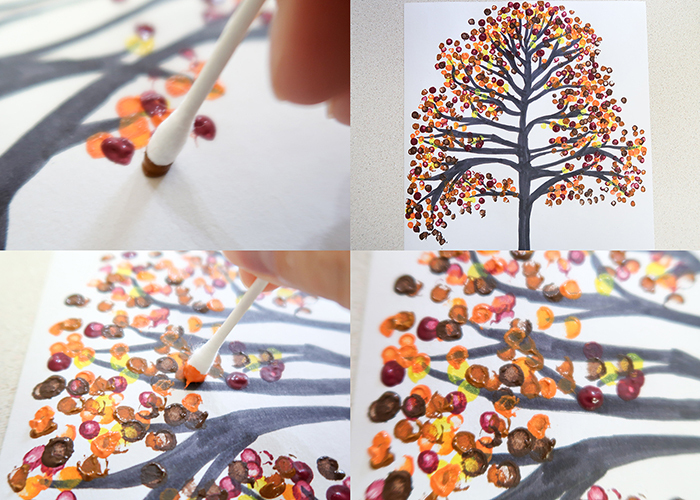 Drawing it in pencil allows you to erase and fix spots until you’re happy with your tree. 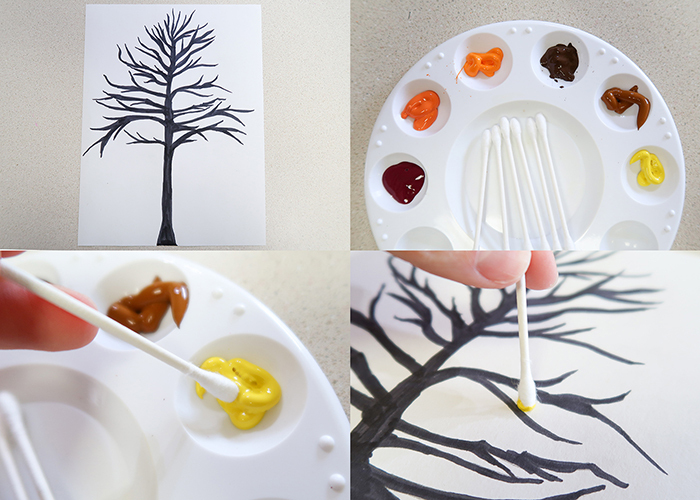 When you like how the tree looks, use your marker or black paint to color it in. It’s not perfect, but it’s very cool! 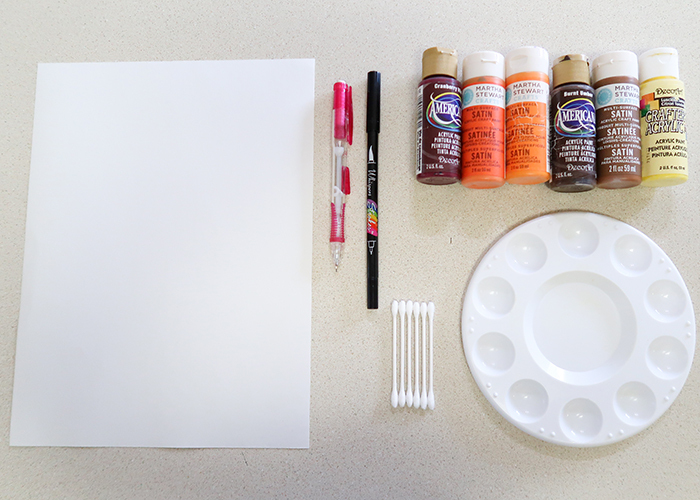 Now, put a little of each of your autumn paint colors on your palette. Start with the lightest shade, and dip a q tip into it. Then stamp the tip of the q tip onto or next to one of your branches. 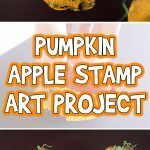 Your first stamp will be opaque, and the next few will get lighter. You can stamp the q tip down about 3-5 times before you’ll have to re dip for more paint. When you have a good amount of your lightest shade, move onto the next one. Keep going, adding layers of dots. 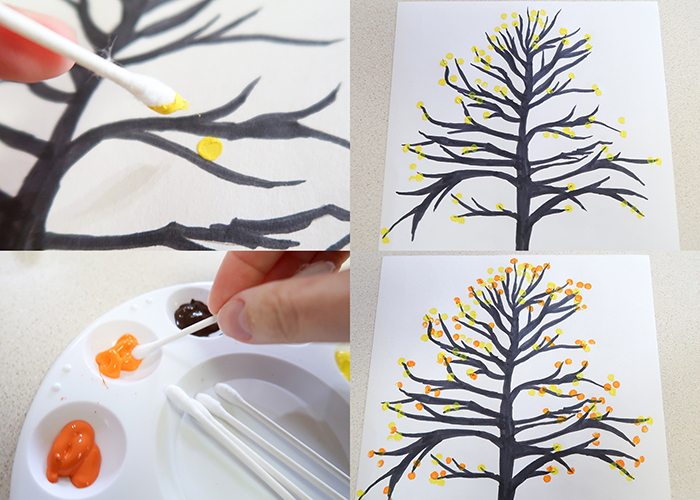 If you don’t let the paint dry in between layers, the paint will blend together and you’ll have dot leaves that are multicolored. I love how this effect looks! When you think you’re done, step back and look at your painting. Does it need more yellow again? Is there a spot where you could use a few more leaves, or an overly bare branch? Do you want some falling leaves in the air, or even some collected on the ground? 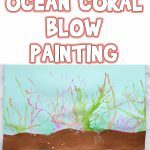 Use your imagination and make your painting entirely your own! 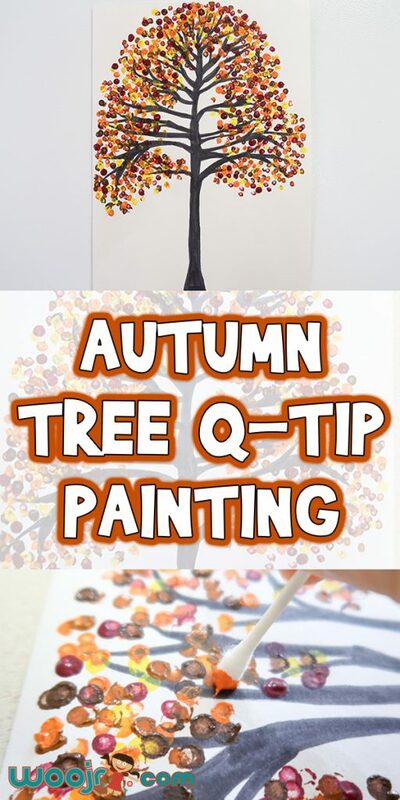 I hope you have fun working on your Autumn Tree Q-Tip Painting!